Change is inevitable. It is a part of life and unavoidable. Sometimes we are faced with a condition that gets us up close and personal to change on a daily basis. I have a condition called Usher Syndrome that has affected my hearing to an extent that I am considered severely hearing impaired by audiologists. I also have a condition called retinitis pigmentosa and currently have about nine degrees of my peripheral vision left for me to use. That’s a tough pill to swallow when at one point I could see the full range of peripheral vision. My hearing impairment is something I feel very well adjusted in, and I have very healthy emotional feelings around it. The vision side of Ushers, however, is a different story. I acquired this aspect later in life, when I was nineteen. I went from driving to not driving overnight. In the span of two years I went from twenty five degrees of peripheral vision to fifteen degrees, which was pretty drastic. In the span of four years I experienced optic nerve drusen which is elevated optic nerves that causes issues with central vision, mainly blurriness. I also began developing cataracts as well. During that time period I went down to nine degrees of my visual field. While all this was going on, I began my family and brought two beautiful girls into this world. I moved three states away from all my support of family and friends. That was tough as I couldn’t drive, I had a growing family and I did not know anybody where we were moving to. I also completed my M.A. in Rehabilitation Counseling. There were tons of things changing. There were tons of adjustments made. There was also a ton of determination. I had decided early on I wanted these things and I would make it happen because I wanted to experience life to the fullest. I had nothing to prove – I just wanted an abundant life and was not going to allow Usher Syndrome to deny that life for me. Life is constantly changing for me, and continues to do so. What I saw yesterday, I may not see in three months. Every day, however, I am always looking towards the day to show up and experience the most I can. I decide to live in abundance even when things like my vision are slowly being taken away. My favorite quote is “Whether you think you can or you can’t, you are right.” I think I can, therefore I do. The only way Usher Syndrome can deny me if I allow it. The main thing I do is decide what it is I want. I do not allow any thoughts of how my vision or hearing could deter that goal. Or anything else for that matter. I get connected to why I want these things. Like I said earlier, it is never about proving myself but to experience. I get clear as to why that experience is important to me. And THEN and only then do I start strategizing the how. It gets frustrating sometimes. That is when I get creative, research, get determined and continue moving forward even when things like not being able to drive, see the material being presented or navigating a new town seem really scary. There is a way and there is support out there for us to access. All we have to do is believe it is there and begin putting our energy toward it. One of the best feelings is when things start getting really tough and you are not sure that you can pull it off, there is a breakthrough and then the goal becomes real – because you meet someone, find out about a support network or things just align. Keep at it, like the cliché says, where there is a will there is a way. Some of the organizations that I have used in the past are the state vocational rehabilitation department, Lighthouse for the Blind, university disability services, MABVI, Challenged Athletes Foundation and social media. Social media has opened up so many doors for me and I feel so blessed to have found my best friends, resources and organizations that are there for folks like myself. They are my light in my life. Sometimes I feel it’s worth having Ushers just because of these people. Change is part of life. Whether it is from a condition like Ushers or something else, it is up to us how we navigate that change. I rather like being the driver in life rather than allowing Usher to be the driver – what do you think? 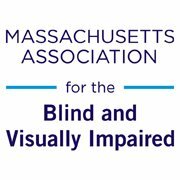 I have been working for almost a year now as Medical Director for the Massachusetts Association for the Blind & Visually Impaired. And I have to say, besides the opportunity to hang out with the cool kids on Team with a Vision, the highlight of my year took place last week at the inaugural MABVI Affiliated Low Vision Providers meeting. What happens when you get a group of low vision doctors together? Crazy good times! Okay, maybe not crazy, but definitely good times and a feel good vibe of camaraderie and collaboration. 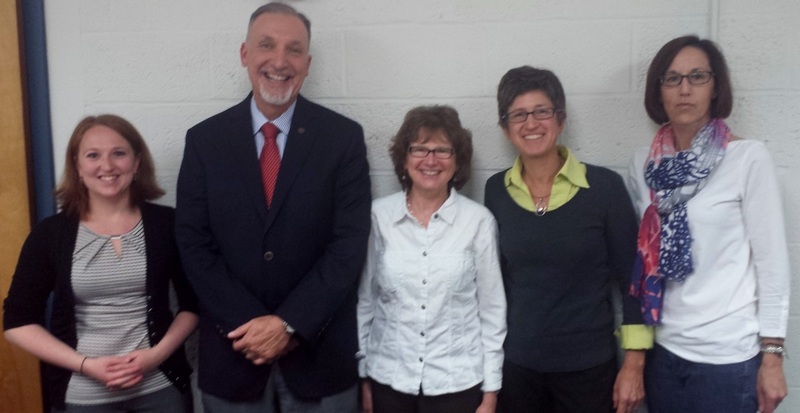 A photo of five low vision doctors who attended the MABVI Affiliated Low Vision Providers meeting last week. In attendance (from left to right) were Dr. Lyuda Sutherland, who sees visually impaired patients at Eye Center of the North Shore in Salem; Dr. Richard Jamara, low vision professor at New England College of Optometry and low vision provider for New England Eye; Dr. Jane Orenstein, who sees visually impaired patients at her practice in Whitinsville; Dr. Jennifer Salvo (yours truly), who provides low vision exams for MABVI in Holyoke and Springfield and at Metro West Low Vision in Wellesley and Hyannis; and Dr. Caroline Toomey, who performs low vision exams at MABVI’s Worcester location. Missing from the photograph is Rev. Arthur T. MacKay, OD, who serves visually impaired patients in Wellesley, Newton, and Natick. Our newly formed band of low vision docs eagerly shared information and concerns about the dreaded topics of Meaningful Use and Electronic Medical Records and their impact on our practices. Dr. Jamara discussed his work with the Massachusetts Commission for the Blind (MCB) and how MCB is working to facilitate the registration of legally blind patients with the Commission. We talked about bioptic telescopes, which are mounted in eyeglasses. Bioptics can be used for viewing street signs or in school settings to view the board at the front of the room. The focusable ones can also be used for near tasks and detail work. With the aid of a bioptic telescope, a small number of patients, whose vision falls within a certain limited range, are able to drive again with a restricted license. Here is my father-in-law modeling a bioptic telescope (he is a good sport). As you can see, the telescope sits above the eye so it doesn’t block vision through the glasses. This particular model cannot be used by drivers in Massachusetts because it is focusable. Imagine the havoc wreaked by a driver trying to focus his telescope as he drives down the highway! For those individuals who are candidates to use a bioptic for driving, the challenge is to make sure they are able to drive safely while wearing and using the telescope . At our meeting we shared information about local adaptive driving training programs that can provide these patients with training and assessment. We also discussed the difficult aspects of a low vision doctor’s work—telling patients that they should no longer be driving or that they are legally blind. We recognize that for many people the hardest part of vision loss is the loss of independence and the feeling of isolation that can result from losing one’s driver’s license. When counseling these patients, I encourage them to attend a local low vision peer support group. 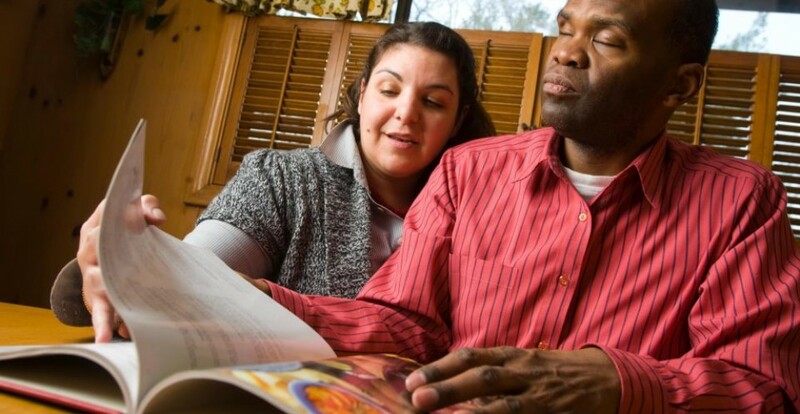 A person struggling with the challenges of vision loss can greatly benefit from the support of peers who are also visually impaired and dealing with some of the same issues. 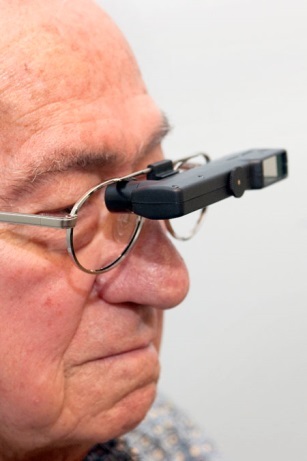 Another issue of importance to low vision providers is how to help our patients maximize the effectiveness of the devices we prescribe for them. Without proper training, lighting or ergonomics, low vision devices often wind up unused and in a drawer. Dr. Toomey and I shared how invaluable it is to work with MABVI’s occupational therapists (OTs) who provide patients with in-home vision rehabilitation. 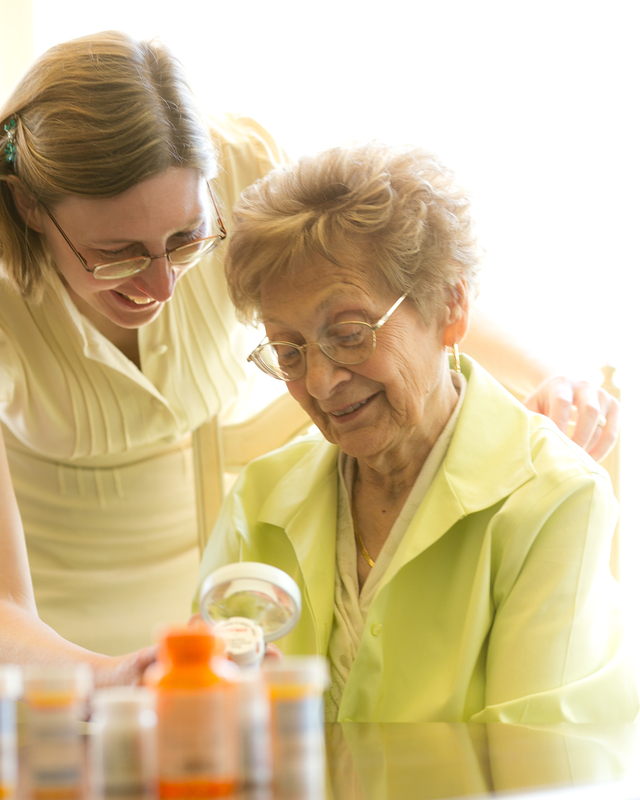 The OTs not only train patients to use prescribed devices for performing tasks and activities, they also provide home lighting and safety assessments and strategies, help patients to maintain compliance with medications, connect them to other agencies and services, and help improve patient satisfaction and outcomes. Here is one of our OTs, working with a happy patient! All in all, it was a productive first meeting, and a great opportunity to relax and chat and network with peers. Truth be told, we low vision doctors are considered a bit odd by our fellow optometrists, since we work with patients with serious eye conditions, but we don’t treat the disease—we treat the person, focusing on helping them to function in their daily lives. With the history-taking, identification of goals, and the low vision assessment, our exams can last an hour and a half! (Many a patient has told me, patting me on the arm on their way out of the exam room, “You must have the patience of Job.”) We are anomalies in the increasingly fast-paced medical world. So the opportunity to gather with my fellow low vision doctors means a lot to me. Our “low vision doctor support group” as they are calling it at MABVI, is a wonderful way for us to share ideas and concerns and to learn from each other. Our collaboration will benefit not only our professional growth, but our patients, as we share ideas on how to better help them achieve their goals and improve their quality of life. If you are interested in becoming a MABVI Affiliated Provider, please contact Jennifer Salvo, OD at jsalvo@mabcommunity.org or email Shaun Kinsella, MABVI’s statewide director, at skinsella@mabcommunity.org. Summer is the ultimate time for exploration and new experiences, especially in a place as vibrant as New England. Although this can seem daunting for someone living with a visual impairment, there are many accessible opportunities available. Today there are more options than ever to get out and enjoy the summertime, from theater and museums to outdoor activities and sports games. o The Regent Theatre Located in Arlington, MA is one of the most accessible theaters in the area. The theater keeps the house lights on during every show which is helpful for those with low vision, and the entire venue is open and one level so it easy to maneuver for anyone with a disability. They have music and concerts, films and comedy and even family fun events depending on the day. o At the Boston Opera House there is going to be an audio described performance of Phantom of the Opera on Sunday, June 29th at 1 pm. o At the American Repertory Theater there is going to be two audio described performances of the Tempest on June 4th at 7:30 pm and June 7th at 2 pm. o At the Huntington Theater, there are audio described performances of Smart People June 6th at 10 am and June 14th at 2pm. 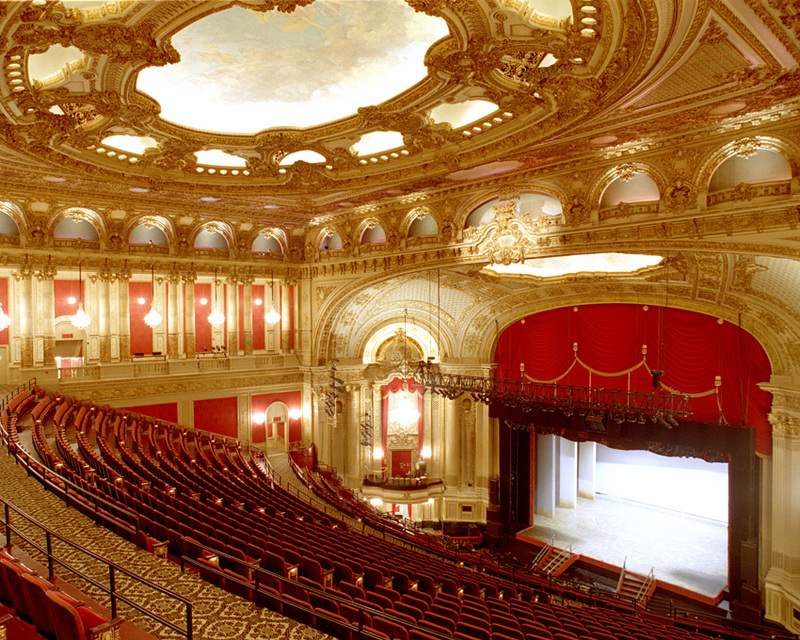 The interior of the Boston Opera House, which provides audio described performances for visually impaired visitors. The Museum of Fine Arts has an array of options for museum goers with disabilities throughout the summer. The MFA has the “Feeling for Form” program which takes place on the first Sunday of every month at 1 pm. Learn more. Pre-registration, which closes a week before the program date, is required but there is no additional fee. 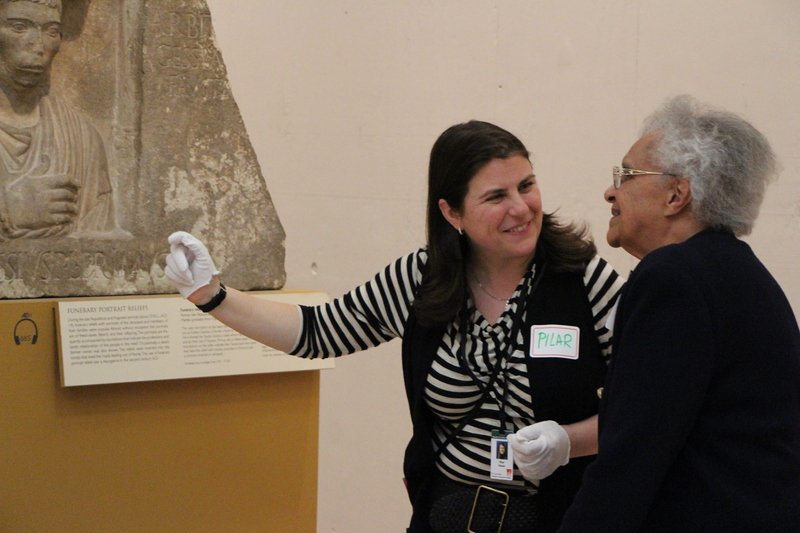 The program offers tours for all ages. If you’d prefer to explore the museum on your own, the MFA also has assistive listening devices available for the exhibits at the Sharf Visitor Center. See upcoming accessible MFA events here. The Museum of Science also offers sighted guide tours, assistive listening devices for the museum and the available films as well as for selected planetarium shows. Learn more. Thanks to the Highland Street Foundation, every Friday between June 28th– August 30th is Free Fun Friday with free admission to museums and cultural events around the state. The full list of dates and events can be found here. The MFA is a Free Fun Friday museum on July 18th. The Isabella Stewart Gardner Museum also has an introduction to the museum in large print and braille as well as audio listening devices available. It is also a Free Fun Friday museum on August 1st. One of the most accessible sports during the summertime is beep ball, a modified version of baseball for blind and visually impaired athletes. 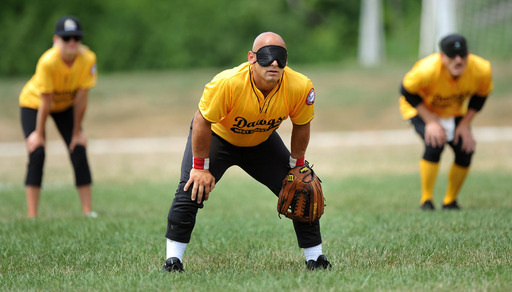 Beep ball involves a sighted pitcher and catcher while the rest of the team is visually impaired. The ball beeps after it is thrown to help players estimate when to hit the ball based on the closeness of the beeps. Players run to a buzzing base to try to score a run. According to the Boston Renegades, the Boston beep ball team, you don’t need to have any prior experience to play the game, only a commitment to the team. If you would rather experience a game from the stands, there are also options for accessible sports games in Boston. 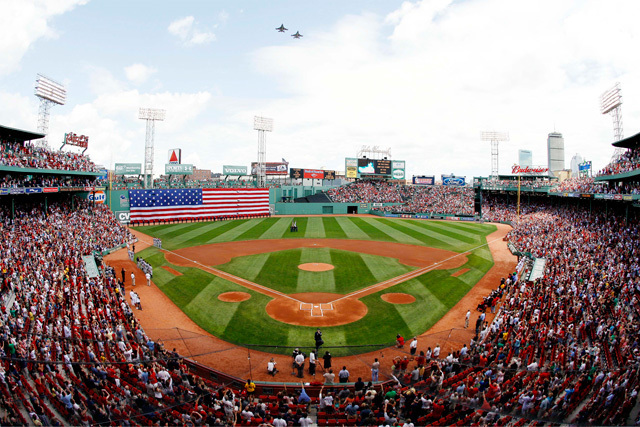 At Fenway Park you can use an assisted listening device that plays the radio description of the game in real time without the 10-second delay experienced by listeners at home. There are also ALDs available at TD Garden on level four outside section 4 for most games and performances. A photo of a crowded Fenway Park, which offers assisted listening devices during the games. 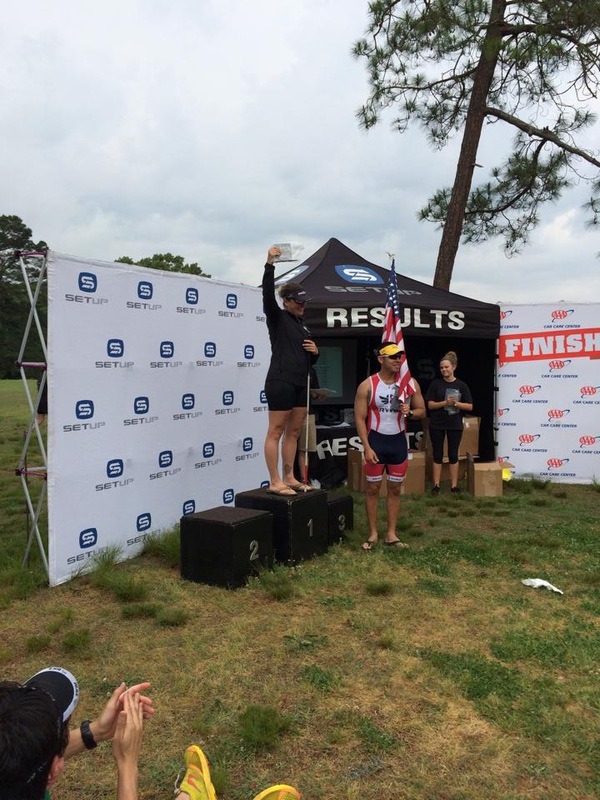 There is also a variety of outdoor activities throughout New England including cycling, fishing, and accessible beaches and hiking trails. Some of these activities can be found through the the Department of Conservation and Recreation’s Universal Access Program. DCR hosts accessible activities throughout the summer such as nature walks led by park interpreters or assisted listening devices if requested. Learn more here. The Carroll Center for the Blind offers summer events such as sailing trips, birding by ear, tandem biking, canoeing, and a New Hampshire White Mountains trip! Find more information here. Do you know of other great accessible summer activities in your area? If so, leave your tips in the comment box below!